Midas Construction is celebrating the completion of work to deliver a new addition to the Premier Inn portfolio in Cornwall. The three-storey, 66-bedroom hotel in Wadebridge is part of the new Bodieve Business Park, being built on the outskirts of the town, off the A39/A389 roundabout. Midas Construction, part of the Midas Group, started work on the site of the new £2.7 million Premier Inn in June 2017. Practical completion was marked in May 2018 with a handover ceremony bringing together the construction team and Premier Inn representatives. 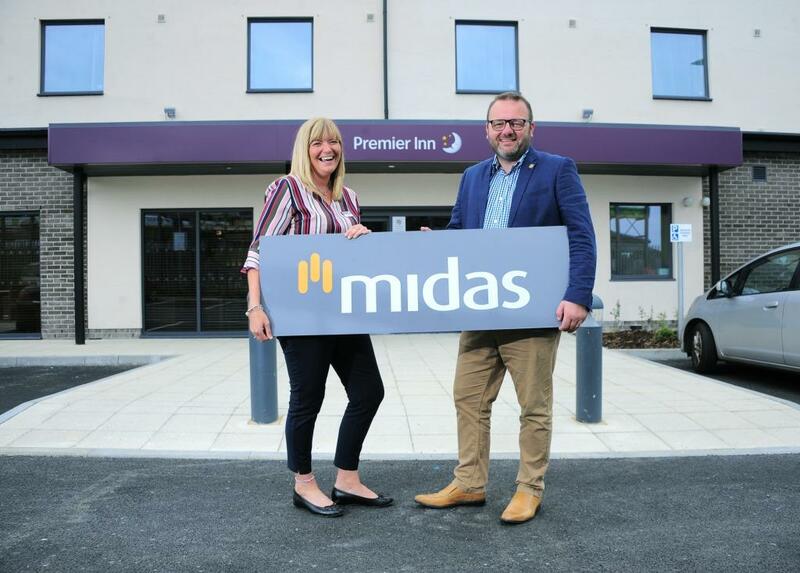 Mike Borkowski, business development director at Midas Construction, said: “We are delighted to see the new Premier Inn at Wadebridge completed and its doors open to the public. Built with a timber and steel frame, the finished building features an integrated bar-restaurant and lift. The build also included car parking, a deliveries area, extensive hard and soft landscaping and the installation of an attenuation tank as part of a sustainable drainage system.